We’ve been getting a lot of phone calls and emails from people wanting to come pick. We are delighted in the interest, but so far, we are not ready. We are estimating the week of July 27th. 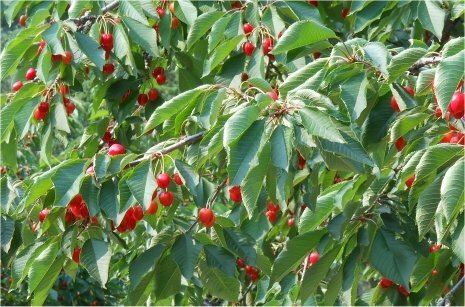 The cherries are still very green, as you can see from the photo. They are getting close to when they would be commercially harvested, but they are not ripe yet. We look forward to opening soon, and hope to see you in a couple of weeks! Closed for the 2014 Season! Do you have your cherry pitter, yet?